This is a guest post by 15 year old writer and #1 Potterhead Brian Selcik, a student at the Metropolitan School of the Arts. Brian has previously been a guest here before, writing how you can plan your very own Harry Potter tour in London. He also works for the Harry Potter Fansite MuggleNet and runs an Etsy shop where you can purchase hand knit goods. Hamilton is a great Broadway show that will live up to your expectations but you have to get your hands on some very elusive tickets first. 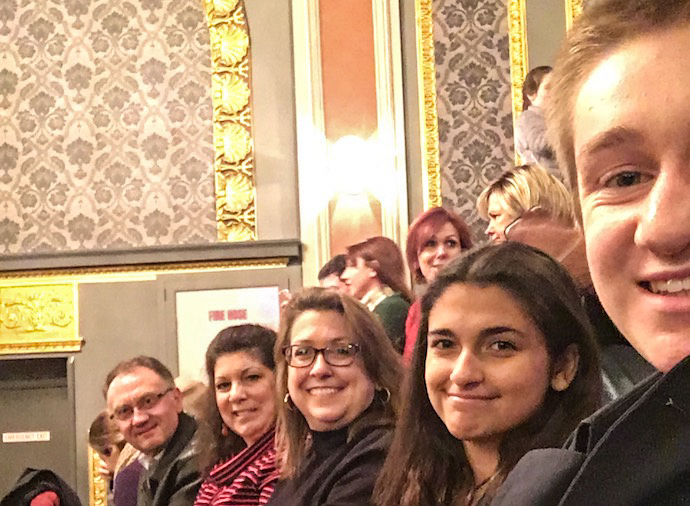 For most people, finding Hamilton tickets isn’t easy or inexpensive but I was able to get tickets for my family and friends at list price, rather quickly, using a simple trick. Here’s how I was able to get those most-wanted tickets for Hamilton on Broadway without paying an extra cent and how you can too. I follow Hamilton’s Twitter page where they post a lot of Hamilton related content but also occasionally announce ticket specials. Those specials sell out very quickly so when I was actively looking for Hamilton tickets, I turned on notifications for all of the tweets from the Hamilton Twitter account. 1. 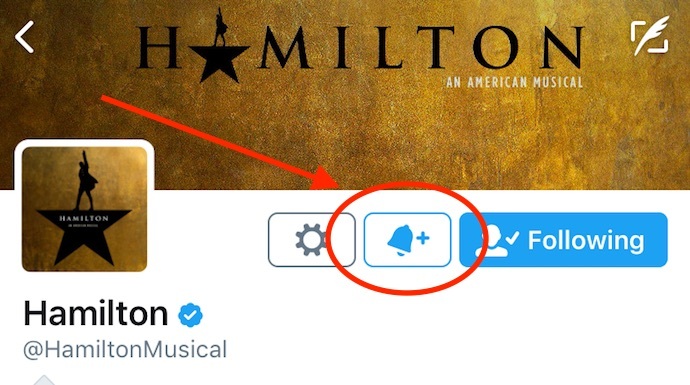 To do the same, the first step is to follow @HamiltonMusical on Twitter. 2. 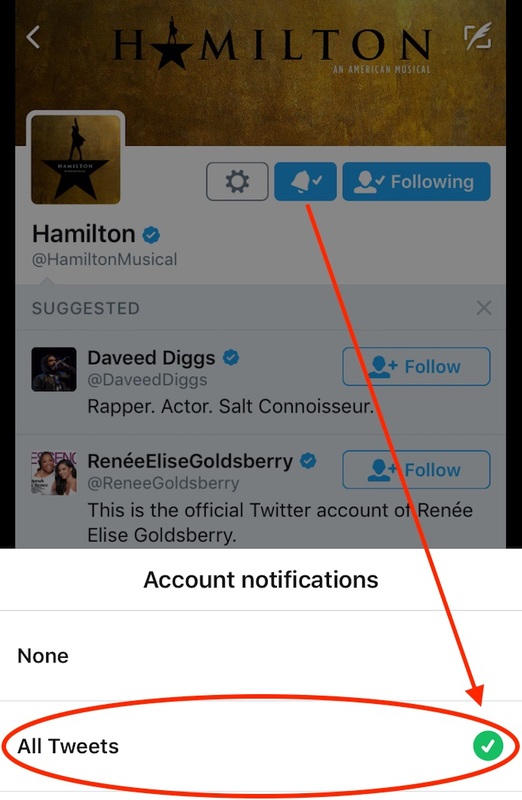 Now, activate notifications for all the Hamilton tweets so you can react fast when they have a ticket deal. To do so, click on the bell icon (it’s near their profile picture). 3. Don’t forget to select ‘All Tweets‘ under Account Notifications. This past spring I got a notification from Hamilton on my phone saying that a block of tickets would be released in 10 minutes for shows from November to January. I immediately followed the link they posted to their site to confirm what I was seeing – sure enough there were the tickets! I clicked ‘Book Tickets‘ right away before the ten minutes to find they were already available. It’s important whenever Hamilton release a block of tickets on Twitter to check as soon as they announce it. I called my travel partner and best friend, and confirmed that we were going to go. We quickly decided on a date and purchased our tickets for the list price ($200 per ticket). This may seem like a lot, but we chose great seats and tickets prices before this were ranging up to $5,000, so we were beyond thrilled. You can also get email notifications by signing up through HamiltonBroadway.com. There will only be an option to enter your email if there are no tickets available. The email notifications are much slower that Twitter, so chances are you won’t be able to use them to get a ticket deal before they sell out. Liking the Hamilton Facebook page is another option but the least effective one if you are interested in taking advantage of ticket deals. Hamilton was great, worth every bit the small effort I had to put in to find tickets at normal prices. 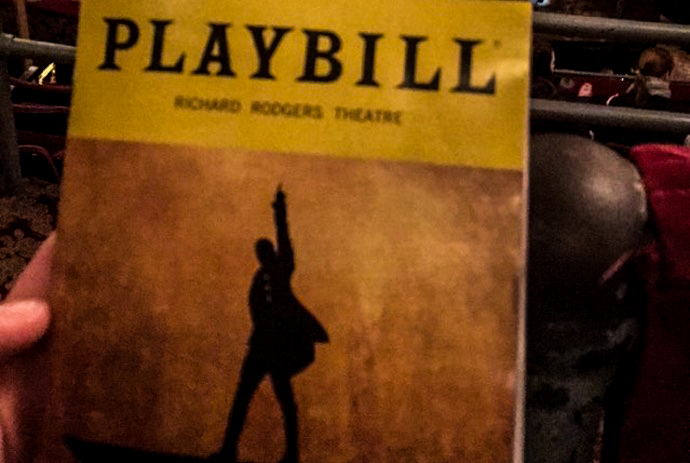 Seeing Hamilton is a wonderful experience if you are planning a trip to New York City that won’t disappoint! Now you know how to get tickets to the show without having to pay the very high resale prices. 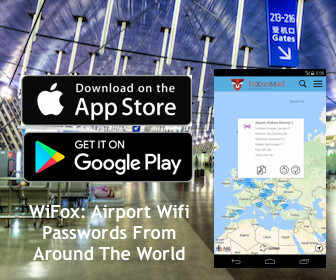 Thank you very much Brian for sharing your Hamilton travel trick with us! You can find Brian working behind the wizarding scenes of MuggleNet on Facebook and help support his next adventure by checking out his Etsy page.